It seems I’ve accidentally had a blogging hiatus for a couple of months, apologies friends. I’ve been feeling rather uninspired in both my words and my fashion these last couple of months and weeks. Summer 2018 seemed to last about 5 or 6 months this year, thanks climate change. But over that time I’ve learnt some things about both myself and life, that I thought I’d share in a little reintroduction to blogging and writing for old me. 1. You definitely don’t need to go abroad to get a tan. In fact you don’t even need to go on holiday! 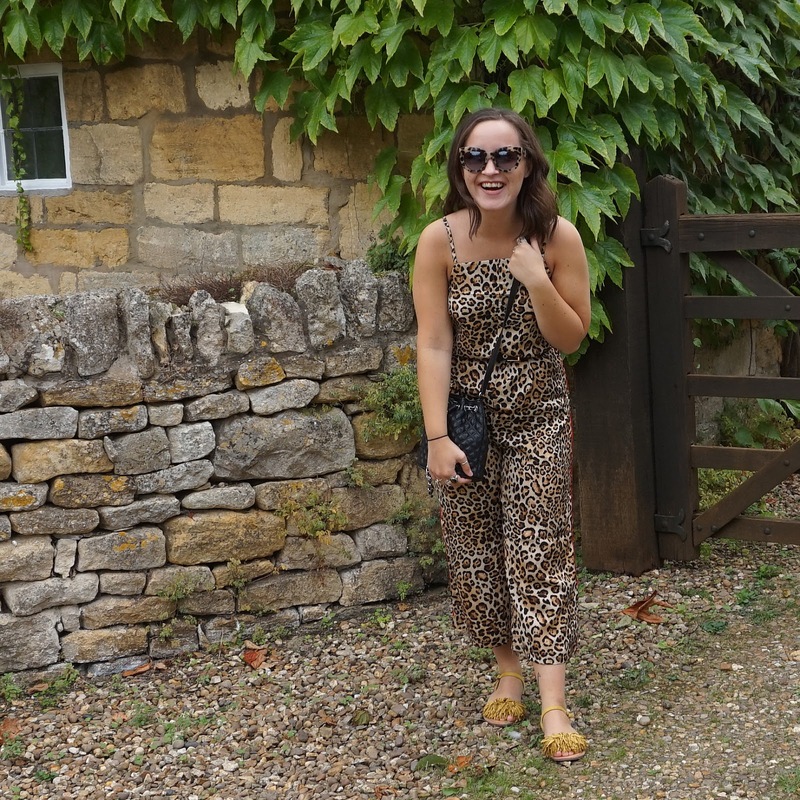 Apart from 3 days in the Cotswolds, we didn’t go away on holiday this summer and yet I managed to get a pretty good tan and some pretty hilarious tan lines to match. It seems sitting in your back yard with a brew, book and a rusting deck chair is all you need to bronze up your skin for a few months. 2. When they say patience is a virtue, they really mean it. When you’re waiting for something to happen, waiting upon other people’s decisions or external factors, it can feel like you’ve been waiting for hundreds of years and that your patience is running thin. Learning to develop and grow patience whilst waiting is difficult, and when they say it’s a virtue they really mean it, cause sometimes it’s a right royal pain in the derriere. 3. If all else fails, brush your hair and make your bed. Life can often be difficult, and days can feel dark, sometimes you just don’t want to do anything or see anyone. But when all else fails, when all else feels too hard, comb or brush your hair and make your bed. It’ll make you feel a whole lot better accomplishing those two small things. Which in the moment can feel like huge personal victories, and give you more confidence to face the day. 4. People won’t always get it. People may not understand you, your decisions or your journey, but trust your gut and your knowledge of yourself. You know what’s right for you, others only see or understand a small portion of the road you’re on. Don’t let their doubts or confusion lead you down a road that isn’t yours to take. In the words of that bloke from the old TV game show, Bullseye, “Take your time, take your time”. Taking your time in life or individual situations may seem or feel annoying, difficult or a drag but not rushing yourself to reach the final destination in as little time as possible, will allow you to take in the view. Will allow you to enjoy the journey. Will allow you to learn about yourself and life and those around you, without pressure or hindrance. Taking your time gives you the space to feel and heal and process life and all of its intricacies in the way that only you know how and can. If you've been around these parts for a while you'll know I have a massive love for all things Disney and Disney World. It's also something that I have a whole lota knowledge about, and I quite regularly get messages from people on both Facebook and Instagram asking for Disney World tips or recommendations. I've decided to pull some of my tips and info out of my brain and put them into some blog posts for anyone interested or looking for some Disney advice. One of my favourite types of experience at the Disney Parks is character dining and meals. They combine two of my favourite things, food and meeting characters! 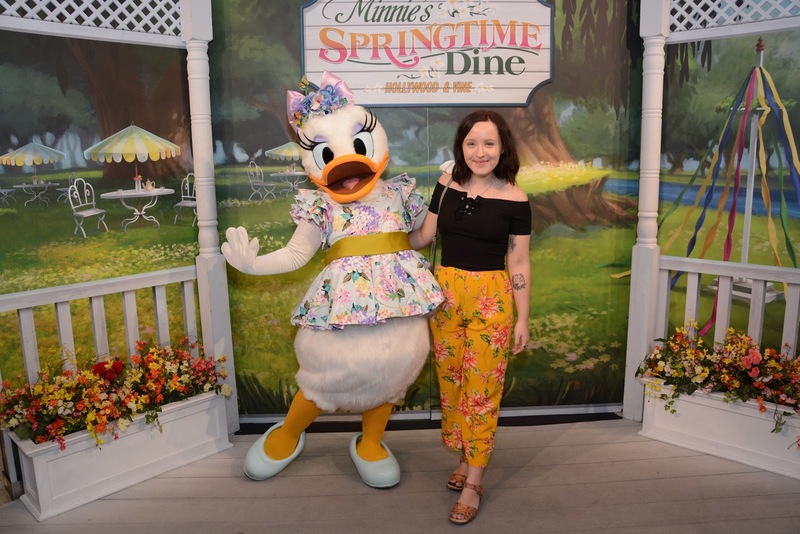 There's 20+ different character dinning options at the various parks and hotels in Disney World, which can feel very very overwhelming and can feel difficult to know where to start. Each character dining restaurant has different food options and choices, and different characters to hang out with - which are all things to keep in mind whilst deciding if a character meal is something for you, your family and your trip. I would highly, highly recommend going to at least one character meal whilst visiting Disney World! They're an incredible experience, and you get the chance to meet 4+ characters without having to wait in super long lines. The food quality varies massively between the different restaurants, as does the type of food available, but my four top character dining picks all have amazing food quality! 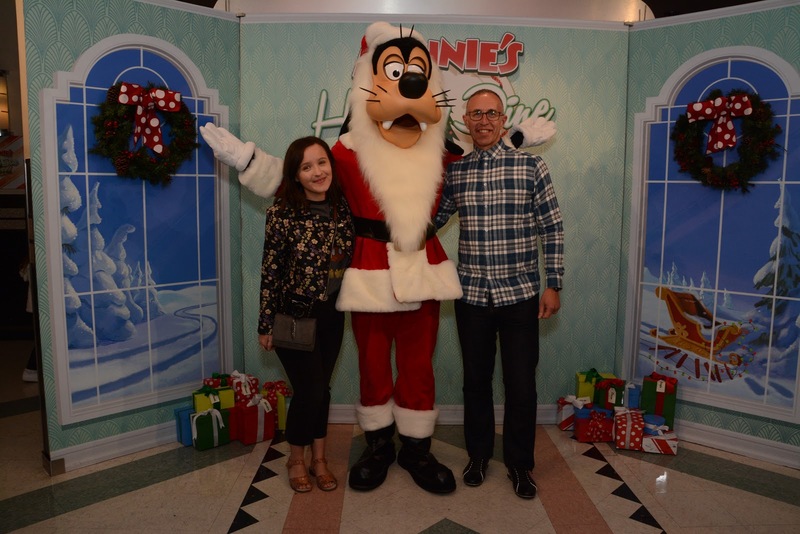 The Garden Grill is my number 1, and top character restaurant in Walt Disney World! The Garden Grill is in the Land Pavilion in Epcot, above the greenhouses where alot of the food you eat in the restaurant is grown. The food is served family style, and is also all you can eat. The meats are incredible quality and very tender, plus there's also vegetables too, which can be a rarity in the Disney parks. The characters you meet are some of the traditional favourites, Mickey, Pluto and Chip & Dale. The restaurant is also pretty small, which means you often get to see and meet each character multiple times, which is just even more fun for your time and money, especially compared to other restaurants in Disney. Crystal Palace is an absolute classic, and is in Magic Kingdom just across from Cinderella Castle. Crystal Palace is a buffet meal, available for breakfast, lunch and dinner, serving traditional American style food. The cast of characters at Crystal Palace are totally unique in Disney World, and come straight from the 100 Acre Wood - Pooh, Tiger, Piglet and Eeyore. Hollywood & Vine is a relatively new discovery of mine, and is a hidden gem in the Hollywood Studios Park. Hollywood & Vine is a buffet with some of the most incredible food I've ever had at a buffet style restaurant. It's all seasonal, and there's no chips in sight. The characters come around and meet you at your table, and it's the fab five dressed up to the nines - Mickey, Minnie, Donald, Daisy and Goofy. The characters outfits change depending on the season or time of year, which is always super duper cute! There's also a character at the exit where you can get a professional picture of your whole group with one of the characters, in our case, at Christmas it was Goofy dressed up as Father Christmas, which was pretty hilarious! Tusker House is another rather hidden restaurant and can be found in the Africa area of Animal Kingdom. The food is again a buffet, and Tusker House serves food that is both traditional American and African, being the perfect option for groups with both adventurous and fussy eaters. The vibe and decoration is like an African market to fit in with the gorge food served, and the Africa area it's situated. The characters at Tusker House are again the fab five; Mickey, Minnie, Donald, Daisy and Goofy and they're all in safari gear to match the Animal Kingdom surroundings too. There's a couple of other Disney World character restaurants that I wanted to highlight too. These are both restaurants I've never been to but definitely want to in the future, as I've heard such great things and they're also that little bit different. Ohana is a character breakfast meal situated in one of the resort hotels. The food is served family style with traditional American options along with both Hawaiian and Polynesian themed foods too. Lilo and Sitch are the main characters for this character dining meal, which is really fun as they're not characters you'll find really easily in the parks. This is a relatively new character meal, and is something that is totally different! Trattoria Al Forno is only a character meal at breakfast and offers traditonal Italian food for lunch & dinner. For breakfast Trattoria Al Forno hosts the Bon Voyage Breakfast with extremely popular characters, Ariel, Prince Eric, Rapunzel and Flynn Rider. Princess character dining is always super duper popular and in high demand, and seeing princesses with their princes is something that only happens at special events like Halloween. Which makes the Bon Voyage Breakfast something really different, special and exciting. For the price of the meal everyone gets a breakfast main, starter and a sharing plate of pastries. For those who're a big Tangled or Little Mermaid fan this is perfect as even the little details are themed on the films. The pastries come in a frying pan and the food is named after characters of scenes from the film (King Triton's Shipwreck). I hope this was helpful, and if you have any questions feel free to get in touch! Also if there's anything you'd like another post to be on regarding Disney World and my tips and recommendations then holla! All items marked with C/O are giften items, sent to me by brands to feature or review. Being sent this item does not and will not change my opinion on it. Any opinions or views shared are my honest, unbiased opinion. The Internal Struggle is Real - Why Mental Health Needs to be a Priority. My Sabbatical - Why sometimes it's important to take time out.